← TOUCHDOWN! ‘Tis the season for Football — and Sparkle! SUMMER may be over for 2018 (yes, it went fast, right?) but we’ll help you keep the sunny AUTUMN season sparkling! 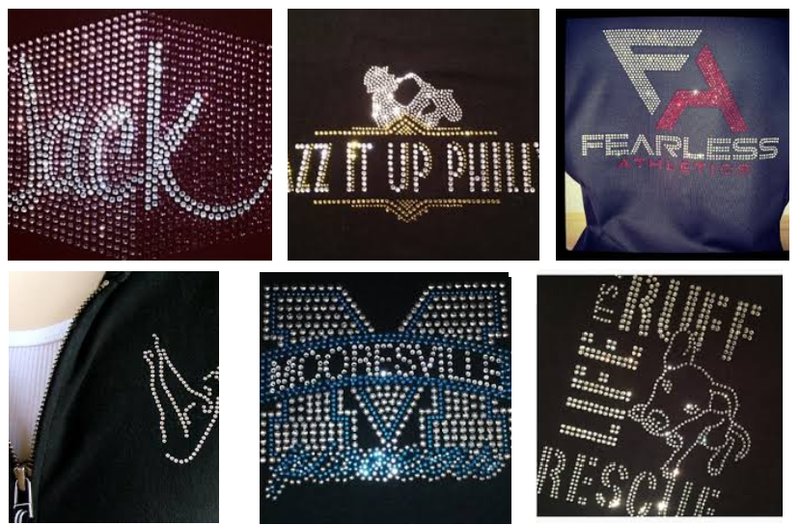 Custom rhinestone shirts & Swarovski crystal logo-wear & bling apparel is our specialty, and, our sparkle is such fabulous quality, we have to brag a bit, and let you know we’ve actually won awards for our sparkle-wear! PROMOTIONAL PRODUCT DISTRIBUTORS: We’ll create rhinestone heat transfers, decorate your blanks or do the whole job in-house. We’re on YOUR TEAM. Learn more and click over to our home at Sparkle Plenty Designs and/or CALL us 215.389.1877 (or email is fine too at info@sparkle-plenty.com) and let’s find talk about some BLING! This entry was posted in add bling, add bling to your business, best in philadelphia, best in philly, best of the web, custom apparel, custom bling, custom rhinestone, custom rhinestone tee giveaway, custom rhinestone tees, customized sparkle, inspirational tees, promotional apparel, promotional products, rhinestone business, rhinestone caps, rhinestone decals, rhinestone music tees, rhinestone stickers, rhinestone tees, sparkle giveaway, sparkle plenty, sparkle plenty designs, Uncategorized. Bookmark the permalink.